Special Note: You can find the exact worksheet I use when planning and achieving my goals at the bottom of this post. It is a PDF document and is completely FREE. Knowing how to set and achieve goals is a process I have been infatuated with ever since picking up the book Rich Dad Poor Dad at the beginning of my sophomore year in high school. After reading that book, I shifted my focus entirely from wanting to be a roller coaster designer (Yes, I have the need for speed), to jumping into the world of business becoming financially free before my 30th birthday (as of this writing I am currently 25 and my birthday is November 23). 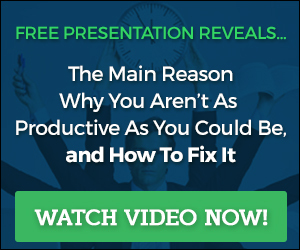 If you are reading this blog post right now, I am sure you have been exposed to many different motivational speakers, and I am sure you have even been to some of their goal setting workshops, going through and using their goal setting worksheets and systems. Let me ask you, have you achieved the goals you had set for yourself? Trust me I was too, until I figured out the most effective way to achieve anything I set my mind to, whereby I recently did just that by accomplishing an astonishing goal. I recently achieved a massive body transformation goal in my life, and am still on the journey to completing it. Throughout the entire process of transforming my body, I learned a ton about myself, and a ton about setting and achieving goals that I set for myself. (The rest of the details are at the end of this post, so don’t worry)! I want to share my goal setting and achieving system with you by giving you this semi- goal setting worksheet to make sure that you achieve all of your goals in 2011 and beyond. I created this goal setting worksheet and system from a series of mentors, friends, and motivational speakers that I am sure you are aware of (Meeting in person, or from their books). I took what they have shared with me and customized it to my own style to achieve all the results and goals I have achieved for my life. PLUS many other amazing individuals who have come into my life. I would love to know what you think about this goal setting worksheet, and if you would be so kind to share your thoughts in the comments below I would really appreciate that. If you are up for it, also feel free to share this post with those who you know it would help through social media and e-mail. Example: In three years I will have an e-mail list of 1,000,000 individuals who love hearing from me every time I send them something. Example: Go to an expert who has an e-mail list of 1,000,000 people and ask them what they did and the process they took to achieve what they did. Learning Point: Achieving success and great wealth is a process, not a one time event…the media only focuses on showing the one time wealth event, completely ignoring the process of how the individual or company got there. I recently became present to this fact from MJ Demarco, who wrote an amazing book that I absolutely love called The Millionaire Fastlane. I highly recommend you go to amazon and grab a copy ASAP. His book brought me so much clarity about where I was heading in my entrepreneurial career, and helped me fully know I was on the right path to achieving my dreams and goals. Oh and if you are wondering…he is a been there done that entrepreneur and multi-millionaire who was the creator of limos.com. He started the company with $900 in his pocket, and a dream to live the “fastlane lifestyle,” as he likes to call it. Sneak Peak: My next blog post will have an interview I did with him about his entrepreneurial and investing philosophies. He will also be talking about his awesome book, and share how it will help you achieve your goals and dreams you want to create for your life when it comes to building a business that serves millions. We will also touch on how to effectively invest the money you make when you sell your company to grow and preserve your wealth. Special Bonus: For anyone who buys their autoresponder from the link above, I will spend an hour with you on the phone, or on skype, helping you get set up, and answer any marketing questions for you about your business. After making your autoresponder purchase, send me an e-mail with your purchase receipt and we will schedule our session via e-mail. My contact information can be found under my “about me” tab. Step #5 Schedule and set up your daily, weekly and monthly action schedule with the specific actions you will take each day/week/month to help you get closer and closer to your goal each and every day. Example: Write blog post and share in social media (twice per week), ask your friends to share your blog posts with their networks (twice per week), connect with new potential JV partners (once per week), run google adwords campaign (five times per week), write two articles per week and submit them to article directories. Example: When you schedule your day in the morning, first take the time to figure out the specific revenue producing tasks you want to complete that day, and then schedule out your day in specific time blocks. After you have figured out the time blocks where your activity will fall, just start at the first item at the beginning of the day, and stay focused on finishing everything on your list, in the specific time blocks you have given it. Example: Have an accountability buddy who you send your initial schedule to in the morning before you start working, and then follow up with them at the end of the day sharing what you were able to accomplish, what you learned, and the specific actions and results you generated that day to help you move yourself forward. If you would like me to be that accountability person for you contact me to learn how. I can only do this with a limited number of individuals, so if you don’t see this paragraph within this blog post anymore, the opportunity to work with me like this has been removed, and all slots have been filled up. When you reach your destination celebrate! Even though I didn’t achieve my goal 100% yet, I am still not done taking action that will help me get there. Don’t forget to sign up to receive updates, as I have a ton of exciting things planned moving forward with Lean Strong Body. You can do ANYTHING you set your mind to please NEVER forget that! What are your goals? Feel free to share them below with your plan to achieve them! great post Scott! I agree with your thought process here and see that we share many of the learning tips provided by the above mentioned! As you stated, tip #7 is critical in meeting our goals. I would add a key tip I learned from MJ DeMarco when interviewing him for Your Story Matters radio show. DeMarco emphasizes that we must continue learning and find positive people and messages to keep us focused during the process. I know myself that getting discouraged on occasion, whether by not seeing results we want or because of naysayers around us, we need to have a plan to squelch those things/people from distracting us from meeting the mark. My goal this year is to obtain a corporate sponsor for Your Story Matters radio show. I will do so by increasing my audience, face-to-face meetings with key individuals and by emphasizing the unique platform I have created that will allow for global marketing of my corporate sponsors service or product. 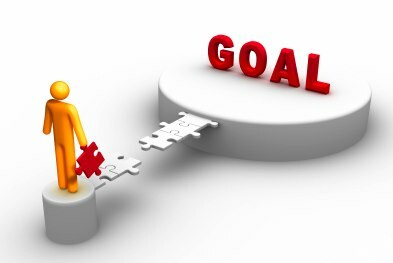 Of course I will be implementing your goal setting worksheet and tips! Angela – Thanks for your comment! Finding positive people to take with us along the journey IS crucial. Great point! That is an awesome goal! It looks like you are on the right track already! Keep up the good work! thanks for sharing this You rock! Good strategy! Getting clear with what you want is the driving force behind motivation and action. Staying FOCUSED on the vision and taking the necessary steps will get you where you want to go!